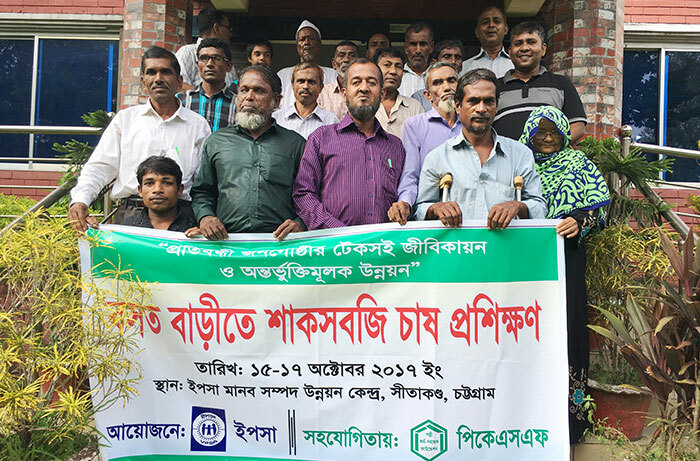 25 people with disabilities attended a 3-day training session on Homestead vegetable gardening organized by YPSA’s Inclusive Finance Program supported by PKSF. The training session was held at YPSA HRDC Sitakund Campus from 15-17 October 2017. 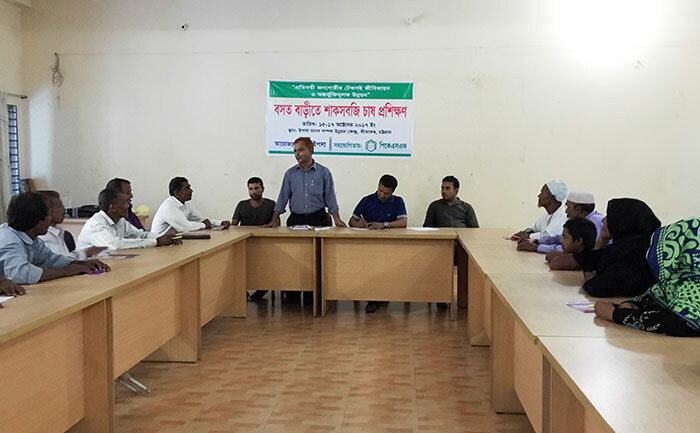 Upazilla Agricultural Officer of Sitakund Upazilla Susanta Saha and Agricultural Officer of YPSA Sumon Devnath have facilitated the session. Sha Sultan Shamim Station Manager of Radio Sagor Giri & Focal person of YPSA Sitakund Area was present in the inauguration of the Training and Mr. Didarul Islam, Area manager was presented in the closing session. Mr. Newaz Mahmud Coordinator of YPSA Inclusive Finance Program has coordinated the training session.